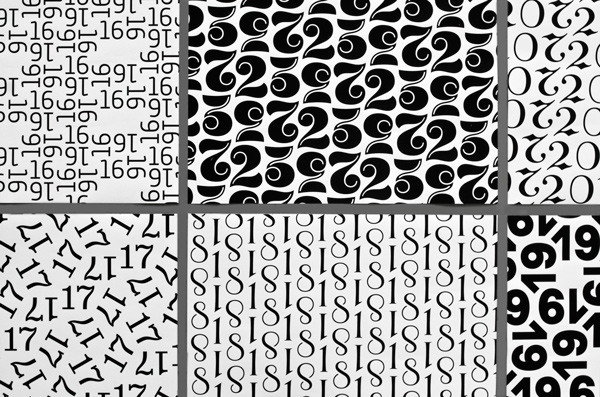 We asked ourselves: Why not use figures themselves to design wrapping paper for your Advent calendar? 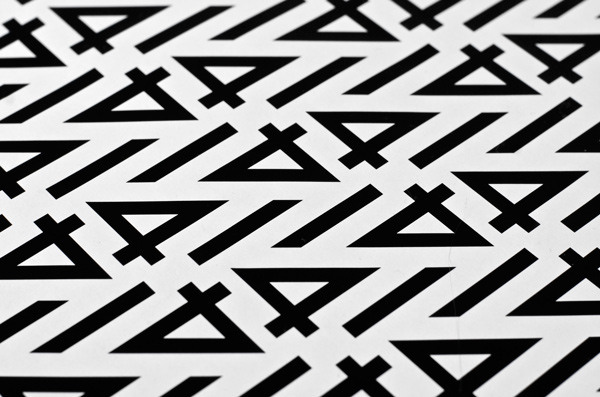 No sooner said than done—now available: Typographic wrapping paper for your Advent Calender. 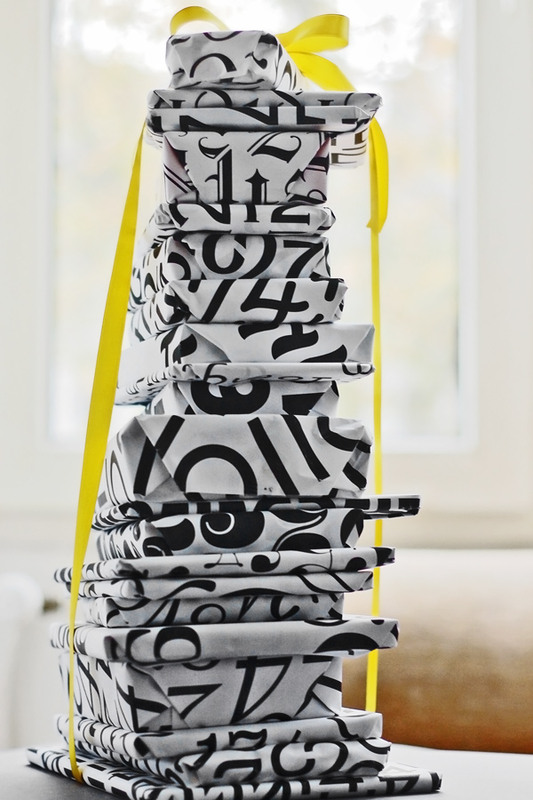 Your gifts don’t need tiny boxes, the wrapping paper offers more amount for taller and other shaped presents (for e.g. wine, apples, tangerines, socks … ). Additional labeling isn’t required for your Advent calender. 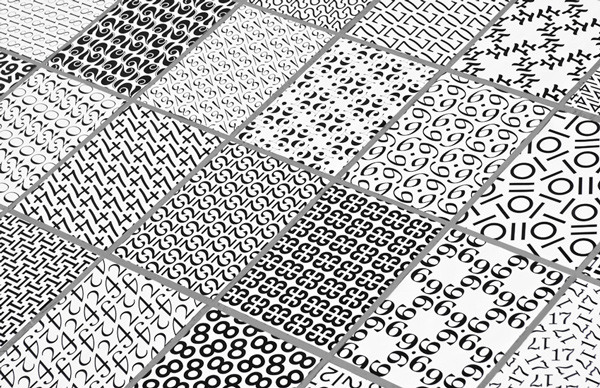 All the figures are especially drawn for the wrapping paper, so that they all show to their advantage in the specific pattern as well as possible. Furthermore, every one of them is set in a specific style. They offer enough varieties on a journey through different typographic ages like classicism or baroque—till the final Christmas Eve. We consciously left out colour in a first step, therefore you have enough scope for your individual design, using ribbon or to tie bows after your fancy. 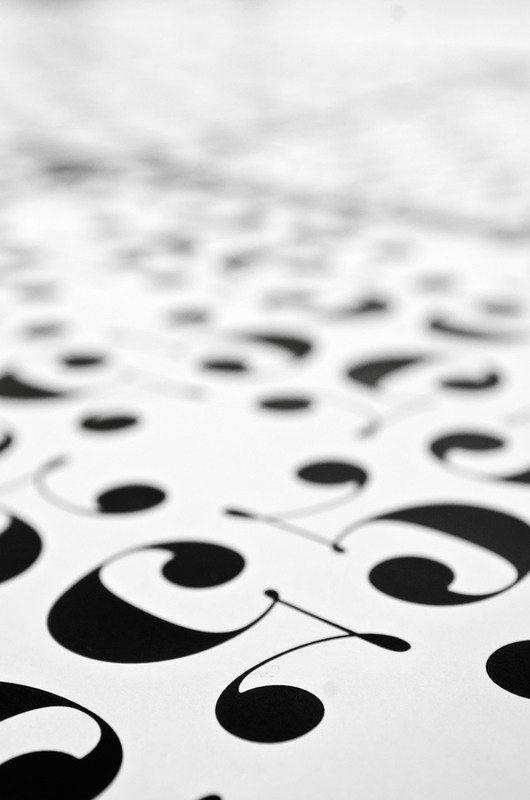 Contrary to a common typeface for usage in text or in display applications, the design doesn’t depend on legibility but more on a harmonic interplay of patterns. Overall the main object was to achieve an ornamental character, away from the actual figure in favour of a pattern as an entire composition. 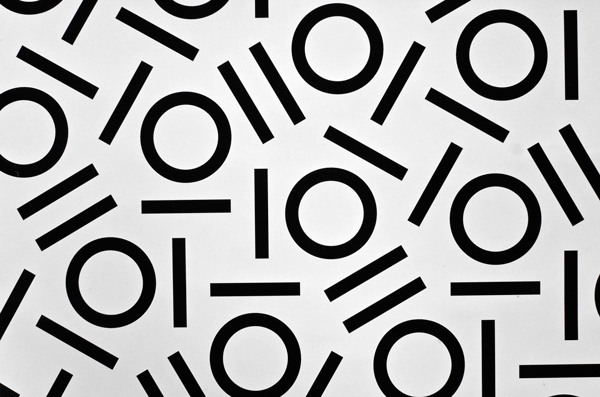 During the process it occurred that figures with closed shapes like e.g. 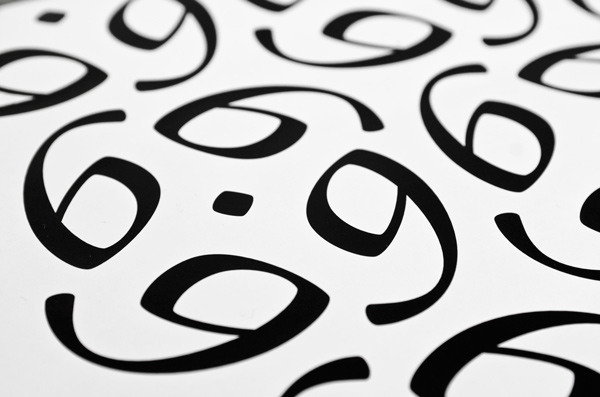 figure eight, don’t fit very well in patterns commonly. 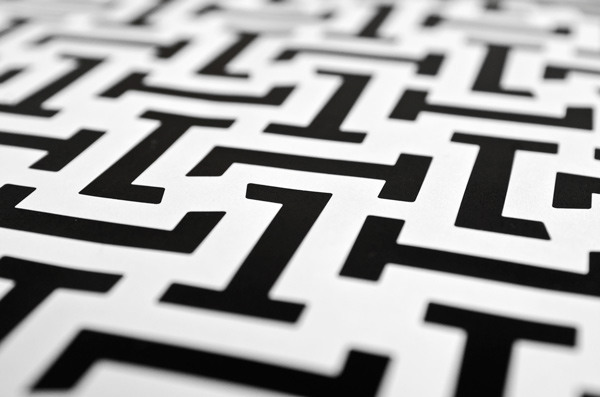 Open shapes are more suitable and easier to arrange to each other in patterns, because the shape interacts more with its surrounding white-space. 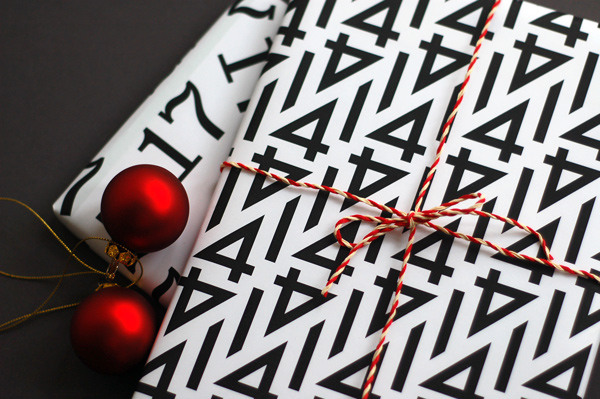 The wrapping paper is printed offset in solid black colour on 70 g/m² matte coating paper and consists of 24 sheets (for every figure 1–24) in format 17″ × 12,2″ or 8,5″ × 12,2″ which is now available in Frau von Zahl Shop at DaWanda. 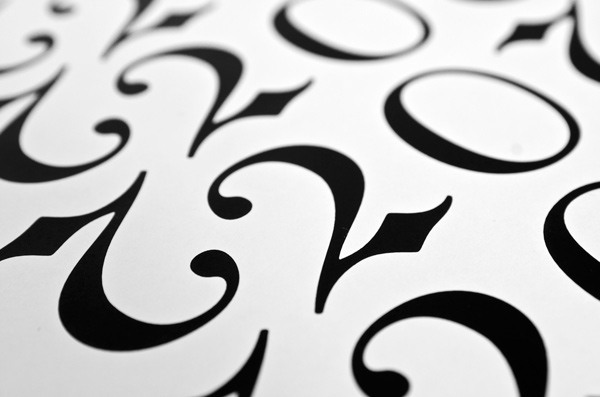 Lot of thanks to Elena Braun for the charming collaboration and her idea for the typographic wrapping paper.